The persistent call in some labour movement circles to correct the ‘democratic deficit’ within the EU and EU institutions is a large distraction and simply unachievable. Further, this notion causes large amounts of collateral damage. It is a complete misunderstanding of real democracy by the ‘new left’ and other elements. The Lisbon Treaty was the EU Constitution rammed through by governments of all Member States and is nothing more than a cast iron manifesto for capitalism which intentionally rules out any other economic system. This unique constitution is deliberately designed to be a predatory alliance of transnational corporations without the encumbrance of nation states and real democracy. In particular this Constitution now has additional caveats lined up for eurozone members. 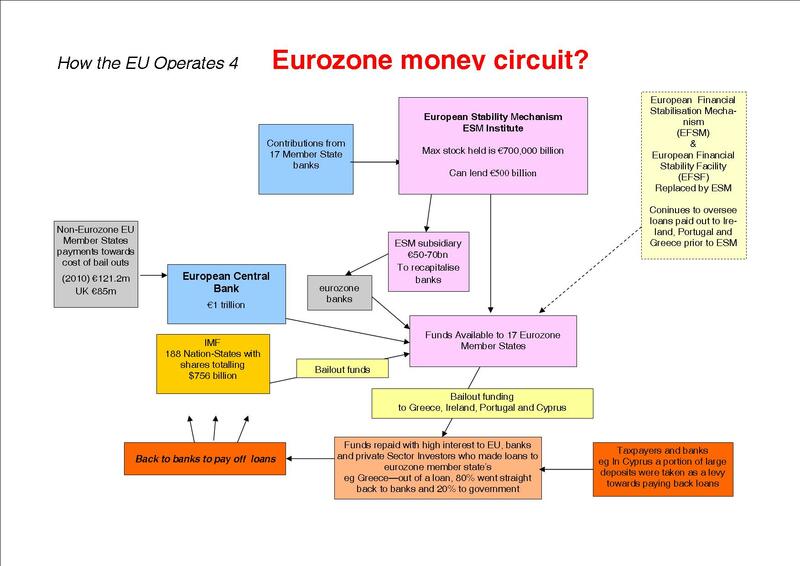 These consist of further treaties including the Stability Mechanism and Fiscal Pact to take away all traces of independence and democracy to form a Euro-federalist core within the EU. An intention of all this is to hand everything to private capital so that exploitation can be increased whilst binning employment conditions, collective bargaining, pensions and all social protection and accountability. The latter is carried out by national governments in line with the objectives of the EU Constitution. They are rubber stamped by parliaments where the majority of MPs support the common policies despite huge popular resistance and opposition in many member states. Parliaments and governments do not have to carry out policies decided upon or dictated by Brussels. Instead, they could reject the common policies and carry out measures on behalf of the peoples in their countries and defy corporate capital’s aspirations. 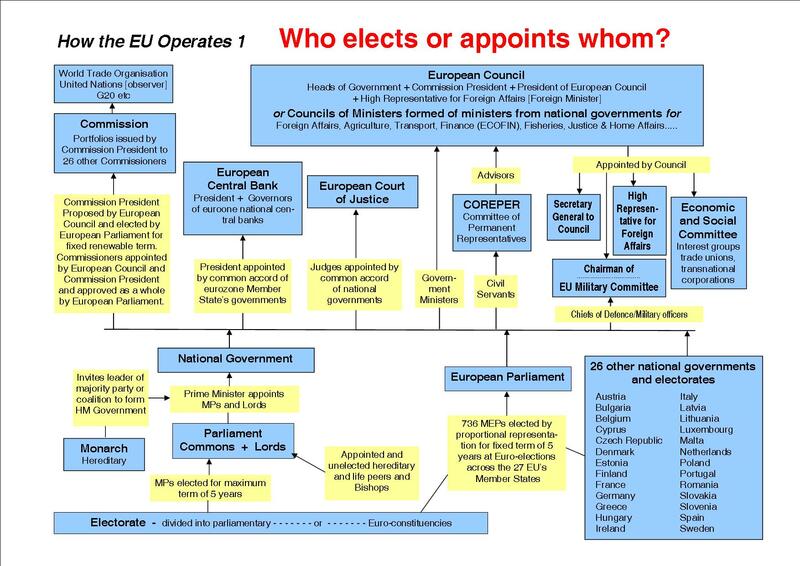 The EU functions top down from the centre in Brussels and not bottom up from electorates. For instance the Economic and Social Committee and Committee of the Regions consist of hundreds appointed by the centralised EU government in Brussels. Neither committee has any power even though they can express opinions and are ‘consulted’. The European Left Party (ELP) does not appreciate that any change to this setup, as with any other aspect of the EU Constitution, stipulates ratification by all 27 Member States of any amendments. Perhaps this is due to the funding the European Left Party receives from the EU for being a pan-EU party with MEPs and goes along with the EU project rather than opposing the reactionary monster. The ‘New Left’ ignores the fact that in the first instance any change to the Lisbon Treaty requires agreement at the EU level by the heads of 27 Member States. That necessitates all 27 governments to be sympathetic to proposed changes – an impractical task to achieve. This can be likened to having a pan-European wide revolution. The biggest change would be to take out of the European Constitution the stipulation that there has to be a ‘free market’ for capital, goods, services and labour which are the hallmarks of monopoly capital. There is no sign in sight that even one government wishes this to happen. The situation today has been brought about via six treaties involving more and more States along the way and spreading east and southwards. They were: founding Rome Treaty; the Single European Market, was set out in the Single European Act; Maastricht brought in the single currency; Amsterdam and Nice consolidated the EU; and Lisbon put in place the European Constitution and sanctified capitalism as the only permitted economy. The discussion on the ‘left’ must be focussed on whether to go along with the current form imperialism takes on behalf of corporate capital embodied in the EU and NATO, or, work for the right of nation-states to self determination, national independence and democracy. 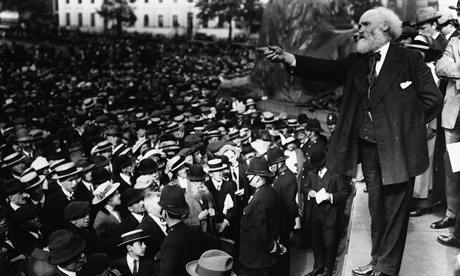 This is the class struggle which reflects a similar debate that occurred prior to the First World War. At that time the ‘left’ was split on whether to support or oppose the military build up by the imperialists which led to that dreadful inferno and mass slaughter borne by millions of working class people. The only rational course for a Member State to take is to leave the EU and NATO so that it can have its own currency and the power to decide all matters on behalf of the peoples of that country including the economy. Part of the class struggle remains the retrieval of national independence and democracy.